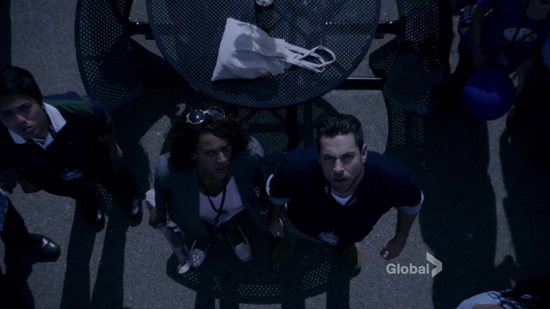 We also saw the Collins family in happier times at a motel, although I didn't expect to learn that Luke (Zachary Levi) and Joanna's (Judith Shekoni) son had a photosensitivity allergy they're hoping an EVO might cure. (If you had the super-power to remedy sun allergies, that's a very niche market.) Admittedly, this reveal did put some perspective on the Collins' grief and thirst for vengeance: having travelled to Odessa expecting a miracle and instead suffering a bereavement. 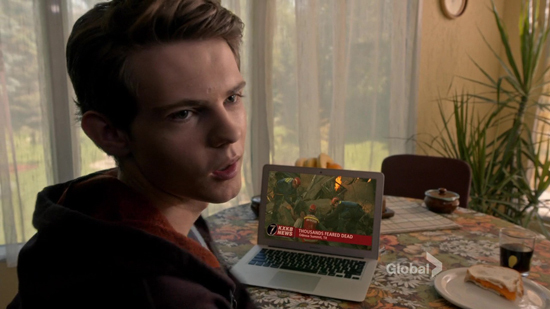 One thing that's been cloudy about Heroes Reborn is this issue with the EverNow computer game, so I was pleased this episode gave us an interesting answer. Unless I'm mistaken, it seems that Miko's father, Hachiro Otomo (Hiro Kanagawa), is an EVO with the ability to 'digitise' people and upload consciousnesses into computer code. So what better place for humanity to hide from an apocalypse, than inside a computer game where time doesn't exist? 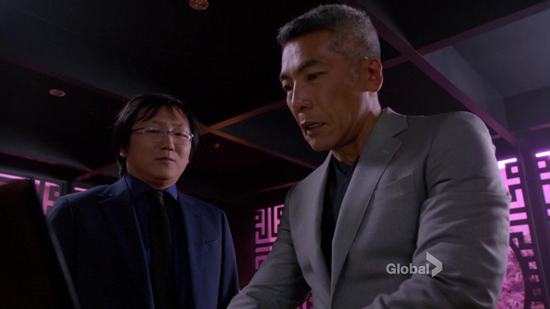 And as the scene above showed, it's also a handy place to also imprison Hiro (Masi Oka). 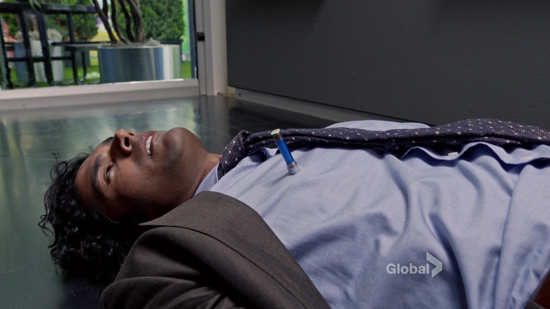 Should've listened to Mama Petrelli, Mohinder. You big dummy. Another issue with Reborn has been Claire Bennet's role and purpose in the story, and the mystery about why died in a Texas hospital instead of the Unity Summit she was supposed to rendezvous at with her father. It turns out the onetime cheerleader was pregnant with twins and died in childbirth, which was a intriguing development I didn't predict. Shades of Luke and Leia Skywalker here, too. I struggled to recall what Mohinder's super-power was, but he was nevertheless incapacitated by a Harris Clone (Cle Bennett) and needed rescuing by Future Hiro. An okay sword fight ensued, but what I appreciated most was that moment when Hiro stopped time and assessed the possible outcomes of his fight with two Harris Clones, before deciding there are "too many butterflies" and vanishing. 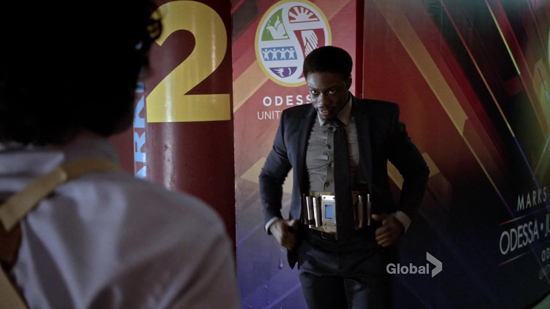 It was one of a few signs this hour that Heroes Reborn has a better understanding of how to utilise a very problematic character like Hiro—who could theoretically have thousands of attempts at saving the world. We also learned that Caspar Abraham (Pruitt Taylor Vince) was once the EVO companion of Noah (Jack Coleman) when they worked together at Primatech, and to this day remains loyal. Unfortunately, it seems Hayden Panetierre couldn't be persuaded to return to the show to play the thrilling part of Claire Bennet's Corpse. Although I'm sure her role would have been a little more substantial had she agreed to return. I can imagine scenes where she met her father at the Unity Summit with a surprise pregnant belly, then had those labour scenes to perform before a tearful farewell. It's a shame the episode couldn't benefit emotionally from her involvement. I liked the idea that the multiple bombings of the Unity Summit were done by various kamikaze Harris Clones, each wearing suicide vests. The moment arrived as Phoebe's dark cloud of power-draining energy covers Odessa and everyone stares up at the symbolic 'false solar eclipse'. It turns out some things are just destined to happen. The Unity Summit once again ends in catastrophe and Luke is left to wander the devastation looking for his son, last seen chasing a red balloon into a crowd. Did he really perish? It's still so vague. I'm guessing some kind of return and a happy ending for the Collins family. 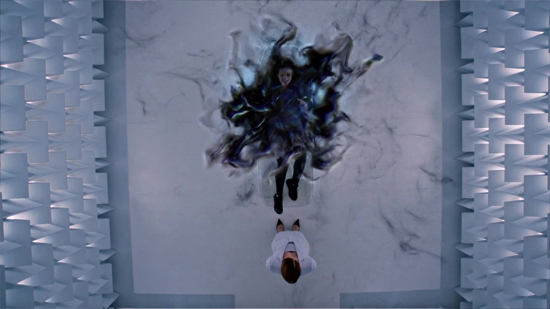 Back at the hospital, the episode's run of genuinely good surprises began, with Angela revealing that Erica Kravid knows that one, or both, of Claire's babies are vital to saving the world. They're named Nathan (after Angela's dead son) and Malina (after Noah's mother), and taken back in time to 1999 to grow up. A clever way to avoid detection, as Erica will be looking for one-year-old babies in 2015, not 16-year-olds. And look! It turns out Tommy's birth name is Nathan! We already know his sister Malina is the blonde teenager who's already being trained to 'save the world' by Farah, who befriended Luke after preventing his suicide last week. Finally, Future Noah's about to cause a major ripple in the timeline by shooting Erica Kravid in the back hours after the June 13th bombing, but ironically it seems his past self's going to screw things up by stopping him. I really enjoyed this episode. 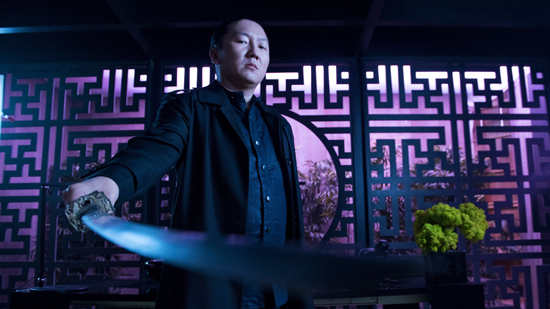 It was revelatory, fun to watch, and made sense of some vagaries Heroes Reborn has been suffering from at times. I particularly loved how it's turned Claire's almost incidental death into an important factor behind the roles of Nathan/Malina in saving the world from Erica Kravid, and seeing exactly what happened on June 13th. 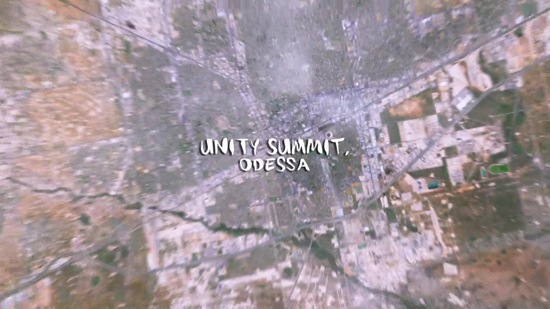 How and why the Unity Summit was bombed, but also why Noah erased his memory of that day. It answered a lot of juicy questions, threw in a handful of decent surprises, and there wasn't much that frustrated or disappointed me. Hiro's time-travelling was used better than I remember seeing from the original show, with more thought given to the ramifications of altering a timeline, etc. You sort of get one high-risk chance to change things for the better, but it's otherwise deemed "fate" and you just have to move on. And now that Hiro's a chilled out Master of Time & Space, you go along with what he says. That just didn't happen when he was the chubby, excitable man-child Hiro. Things are certainly tee'd up nicely for the concluding half of this "June 13th" two-parter, and the last six episodes. Mind you, now that so much has been explained about the background to this whole adventure, I'm surprised there are so many episodes left to see. We're only just halfway through! Is there really enough story left here? What did YOU think? 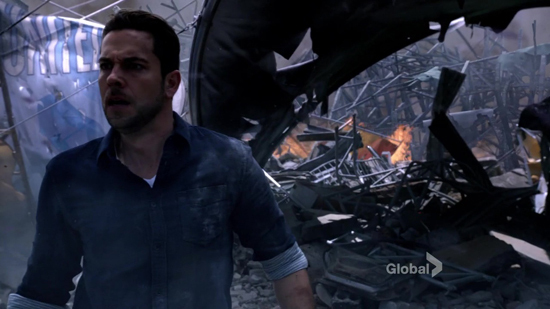 Is Heroes Reborn already the second-best season of the show, after season 1? 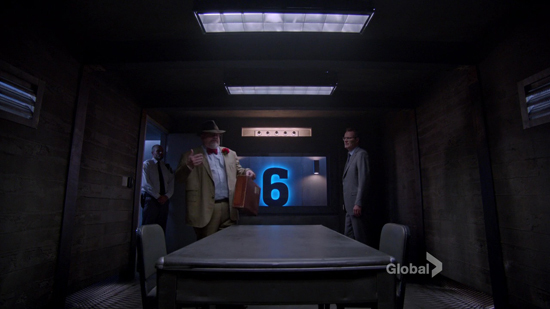 Was this the best episode of the seven that have aired? Or did you guess some of its surprises, so therefore found this a bit dull?